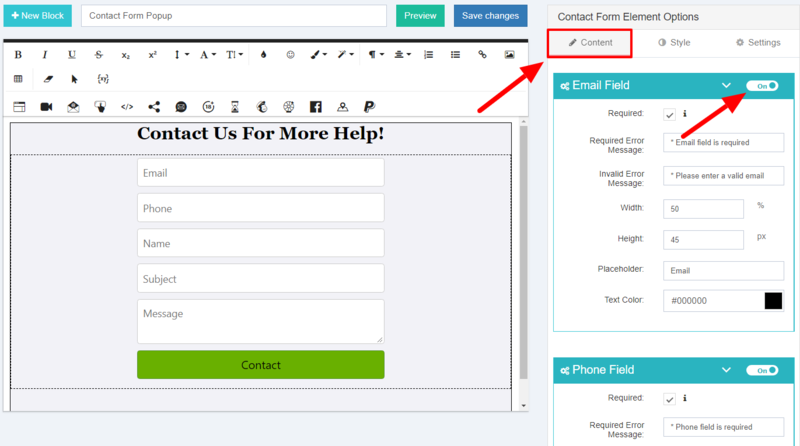 Contact form popup is a great way to keep in touch with your users. Provide help, or additional info letting them contact you. Now, let&apos;s check them one by one! 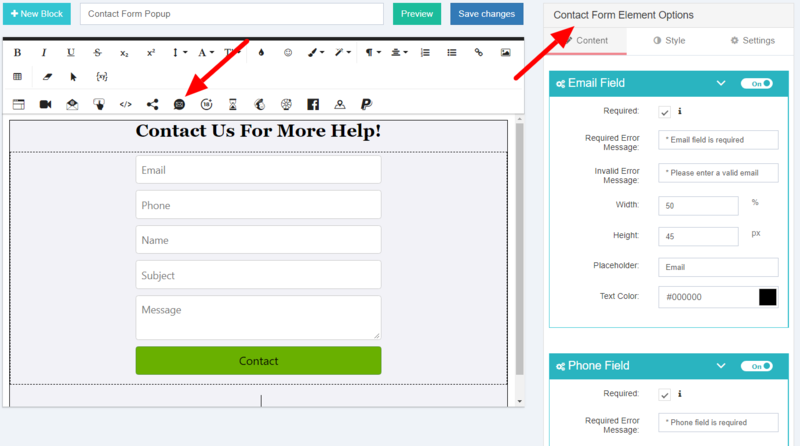 Customize the Texts of each field. All the fields are draggable so you can move their position with simple dragging. 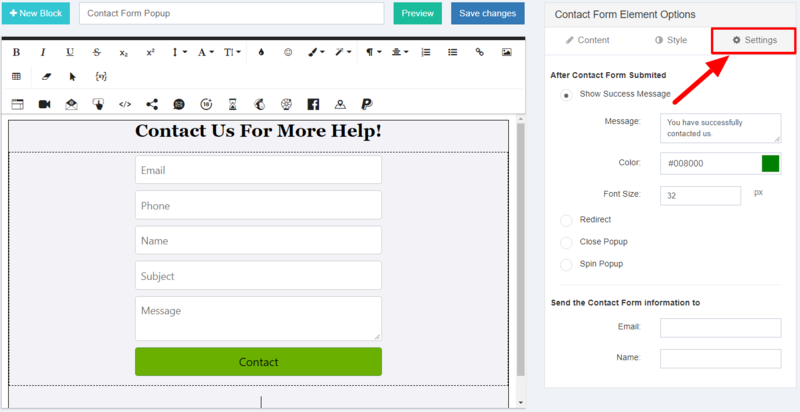 Set up the Sizing and positinoning of the Inputs and the Button. Add a Gradient color for the button if you wish. Add a Background image for the button if you wish. Any customization is possible with the styling of the form. Select the form behavior after the subscription. Show a message, Redirect, Close the popup, etc. Specify an email to receive the contact details. How to manage the contact details? 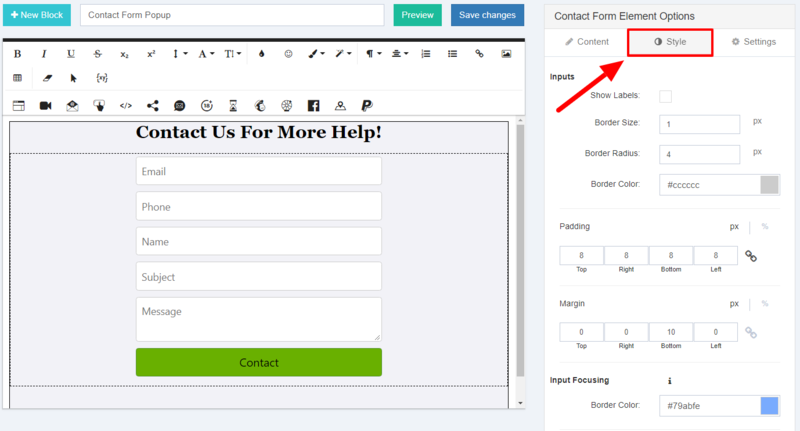 You can see the contact details of your users in the Contacts section of your Popup Maker account. Export the list of your contacts via the "Export List" blue button on the left side of the Contacts screen.